Walmart last year installed Pickup Towers in nearly 200 stores across the country. The self-serve kiosks allow customers to pick up small online orders in stores in under a minute and save money on shipping costs in the process. Justin Rushing, director of corporate communications at Walmart, said the response has been overwhelmingly positive with customers having retrieved more than half a million orders since they were first introduced. As such, a big expansion is in order. 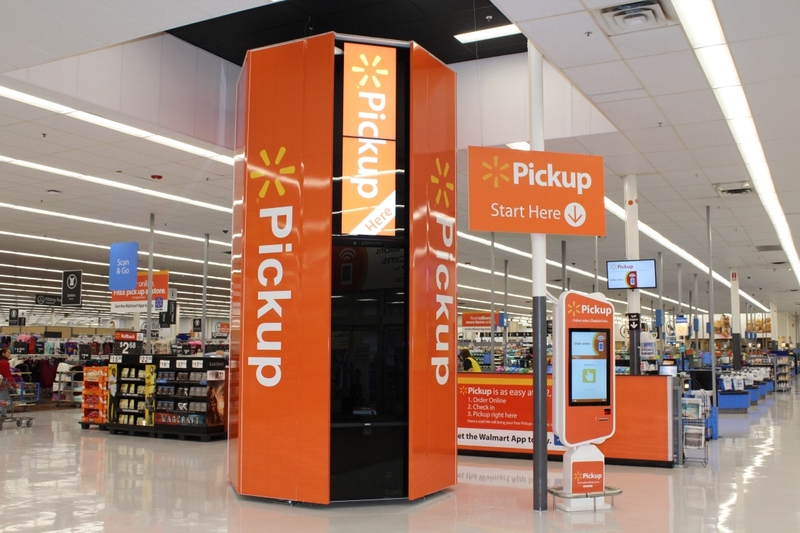 By the end of the year, Walmart will add more than 500 additional Pickup Towers to stores across the country, pushing the total number of installed units to more than 700. Rushing said that with the expansion, Pickup Towers will be available to nearly 40 percent of the country’s population. Customers don’t have to interact with store employees to use the high-tech package vending machines. One complaint users have had is that they want to be able to pick up larger items in the same way. To accommodate those wishes, all new Pickup Tower installations will be complemented by Pickup Lockers. The lockers will allow for pick-up of larger items like TVs, we’re told. Rushing said Walmart is testing additional concepts that are similar to the Pickup Tower to further improve the process of picking up online orders but didn’t provide any specific details.